Another conference, another photographic outing to forget everything about the conference. 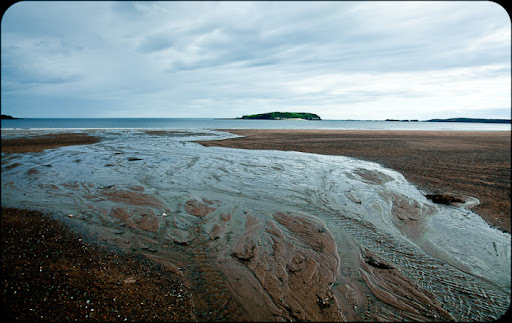 This time a week in Fredericton, New Brunswick ended with a trip to New River Beach on the Bay of Fundy. Low tides came late in the evening while we were there. When we saw the ocean for the first time, my daughter told me that her wish had come true. When I asked her what she’d wished for, she said “to see the ocean!” When I asked when she’d made that wish, she responded, “this morning” – probably while we were packing things up to go to the ocean. Her brother’s new wish to visit Africa might be a little more difficult to fulfill.